Nintendo has announced the release date to their new console, called the Switch. Coming to North America on March 3rd and priced at $299.99, it succeeds the disappointing Nintendo Wii U which was released in 2012. 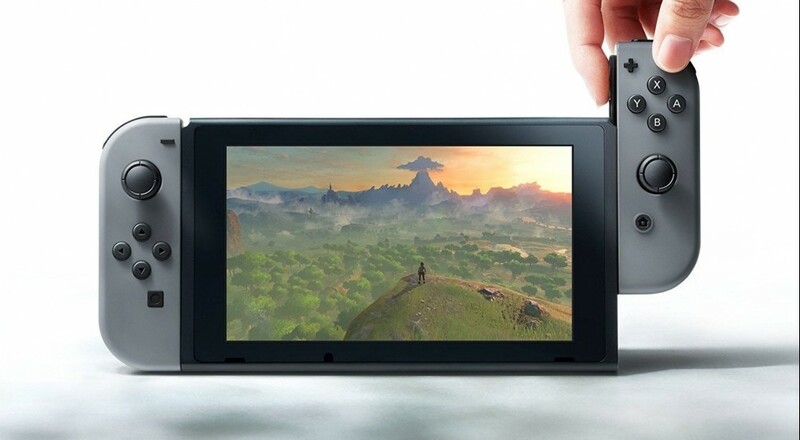 The system will include the main console, Joy-Con (L) and Joy-Con (R) controllers, a Joy-Con grip, a set of Joy-Con wrist straps, a Nintendo Switch dock, an HDMI cable and an AC adapter. The main console contains a 6.2" touch screen with a 720P resolution. This is the portable piece of the system which allows gamers to play console quality games wherever they go. When docked, the system tops out at 1080P resolutions. Finally the device will contain 32GB of internal storage and be expandable via microSDHC and microSDXC cards. The system itself utilizes "cartridges" for the games themselves, though 3DS carts will not be compatible. While details are still scarce, Nintendo is also making a big push into multiplayer gaming with the switch. Spawning up a premium online service later this year which will take advantage of the Joy-Con's features like motion cameras and microphones. There haven't been a ton of launch games announced yet, and some of these titles will also be found on the Wii U. Sadly the co-op selection looks quite limited. You can pre-order the Switch now at Amazon, Gamestop, and Best Buy. Availability is likely to be scarce because...Nintendo. Page created in 0.6517 seconds.